I have been on a journey in the last year plus creating a business that promotes art for arts sake. I am a 64 year old woman artist who came out of the cave in 2009 when I was laid off of a 20 year job as a legal secretary. I didn’t know that this was the start of being reborn. I was a slave to the belief that art would never support me. I was 50 years old when I finally broke my 30 year artist block and came back to joy of who I truly am. I have not gone back to the security of a corporate job since. THIS IS NOT AN EASY TASK!! Especially with ADHD and learning disabilities. However, I finally became the artist I was meant to be. I didn’t think twice as I took the actions to be showing my work. There were many times I was the only woman and the oldest artist in a group show. But I knew I was a good artist. I never compared myself to others and was able to engage all the artists as comrades. For the first time I stopped trying to be better than others. I am an artist among artists. So I can be connected with people whatever age they are. I feel I can be any age in my mind. I have the joy of living. So my business is about engaging people to be creative. 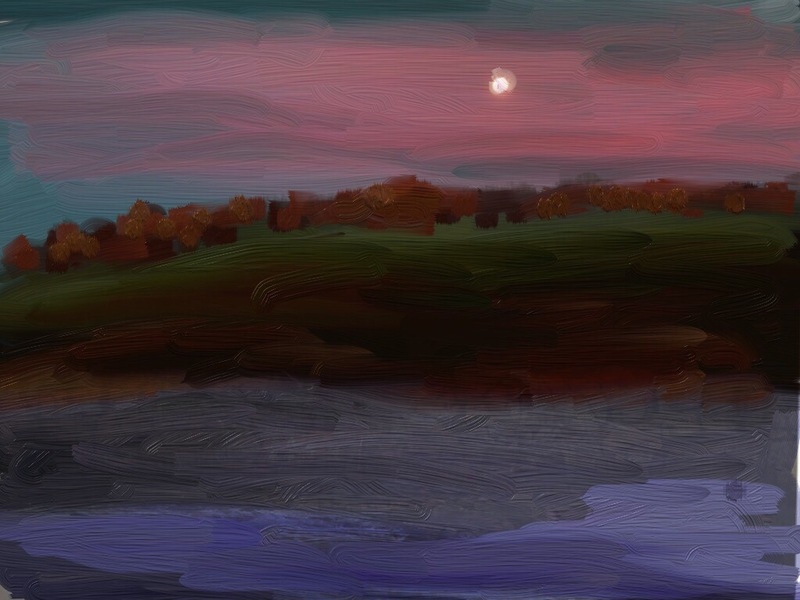 I’m teaching iPad painting classes around the Hudson Valley in New York. I got my first iPad in 2011 for my 60th birthday. I found art apps and my world of creativity exploded. I have become a more prolific artist with this technology. I’m the Pied Piper of iPad art and I’m finally being heard. I was co-curator at an exhibition on digital art with a focus on iPad painting. I’m teaching workshops at gallery. The Riverdale Press gave a good review of the show. The community is aware of my name. A good message, Jean. It’s also said that engaging in artistic endeavour at any level helps ward off dementia in older practitioners. Let’s hope, eh? That is so true. I went to the Metropolitan Museum of Art yesterday with a depressed friend and the art around us changed her mood.